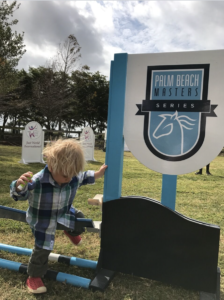 Nonprofit JustWorld International and the 2018 CP Palm Beach Masters CSI3*-W Presented by Sovaro®, part of the Palm Beach Masters Series, teamed up to bring exciting entertainment to Wellington at the The JustWorld Kid Zone for the third year in a row. 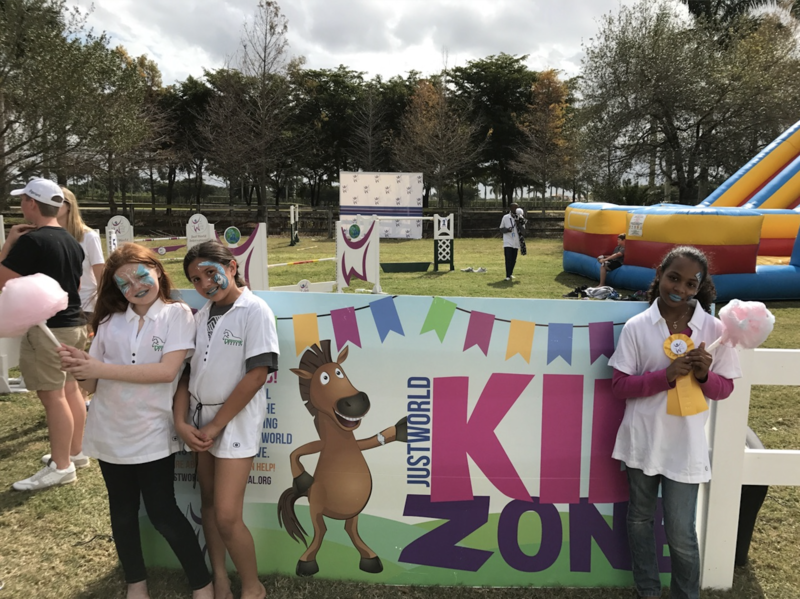 The JustWorld Kid Zone was held during the Palm Beach Masters Series on Saturday, February 3, and Sunday, February 4. 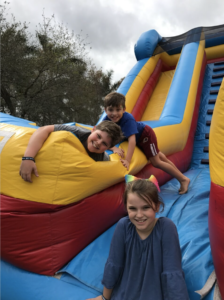 Kids of all ages participated in many fun activities, including: a jumbo slide, bounce house, face painting, cotton candy, and exciting games. JustWorld was thrilled to have volunteers from the Boys and Girls Clubs of Palm Beach County and Palm Beach Central High School’s UNICEF Club. The volunteers also took part in JustWorld’s signature Horseless Horse Show. A horseless horse show is run just like a real horse show except without horses. With set jumping courses, participants raced against the clock on his or her own two feet. The fastest participants received ribbons for their performances. 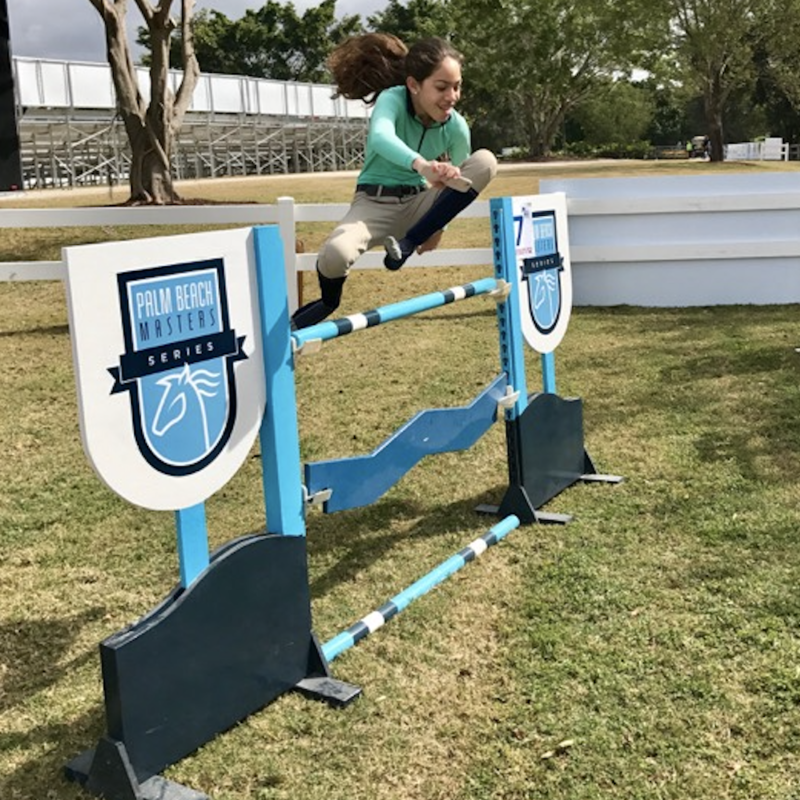 The Palm Beach Masters Series, launched in 2016 when the Jacobs Family successfully bid to keep World Cup qualifying horse jumping in Wellington, Florida, delivers thrilling equestrian competition at the highest levels of the sport. The series is hosted at Deeridge Farms – a stunning location at the heart of equestrian sport in Wellington, Florida – and offers riders, spectators, and sponsors unforgettable hospitality, unrivaled facilities, and world-class show grounds. The signature event of the series, 2018 CP Palm Beach Masters CSI3*-W Presented by Sovaro®, is one of one of only seven North American, east coast qualifiers for the Longines FEI World CupTM. As Presenting Sponsor of JustWorld’s 15th Annual JustWorld Gala, held on January 12, 2018, the Palm Beach Masters Series donated funds to help support JustWorld’s partner projects around the world. JustWorld works with local NGO’s in Cambodia, Guatemala, Honduras and now the United States, to help sustain programs that provide basic needs to children with little opportunity to receive support from other sources. With their donation, more than 6,500 children will be supported through education, nutrition, health and hygiene, and leadership and cultural development programs, giving them the tools to break the cycle of poverty. JustWorld thanks the Palm Beach Masters Series for their continued support!